Windows 10 is developed as a service, which means it receives new features on a regular basis. 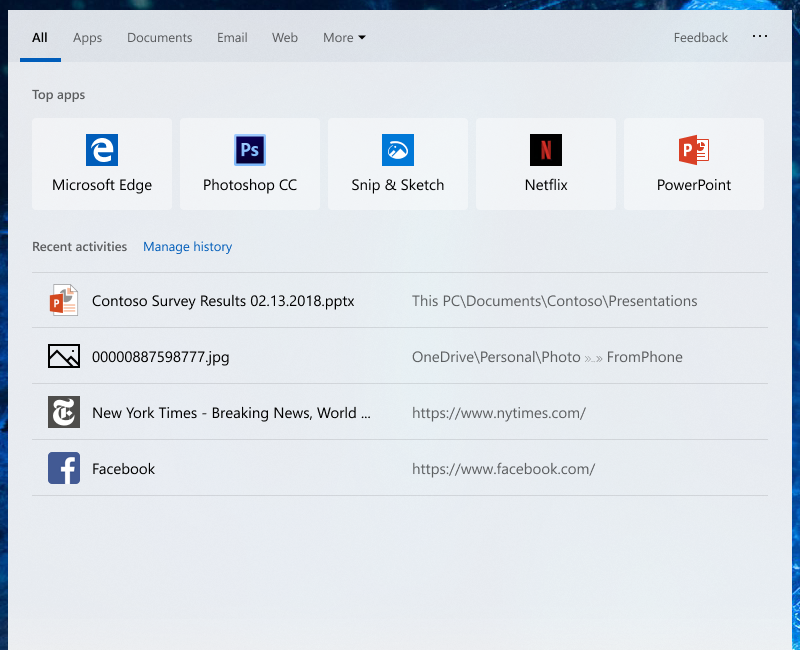 Microsoft has released six major updates. November Update, Anniversary Update, Creators Update, Fall Creators Update, April 2018 Update, and October 2018 Update. However, the next (seventh) 19H1 update is expected to add yet more changes, new features, and further UI refresh and improvements. Microsoft has also added the ability to launch desktop (Win32) applications in Windows Mixed Reality through this update. Microsoft Store apps were already supported, but now one can finally try any Windows application in mixed reality. For that, bring up Pins Panel, go to “all apps,” click on the “Classic Apps (Beta)” folder, and choose your app. 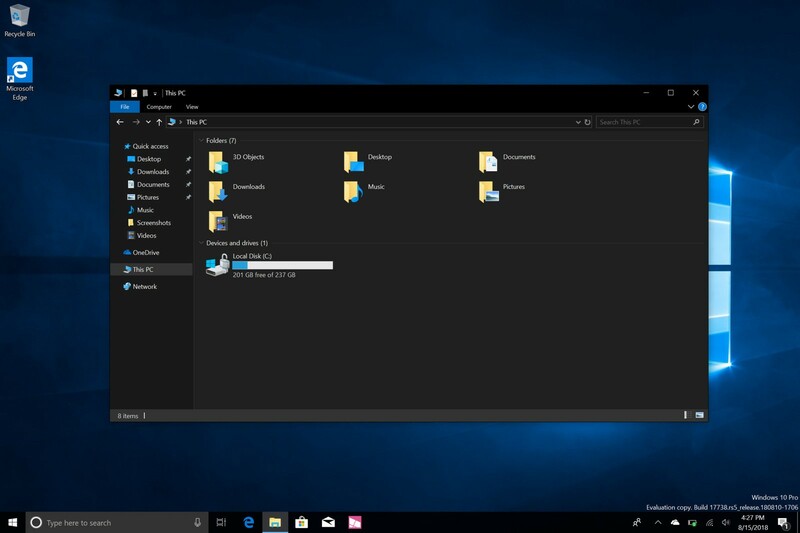 Windows Insiders can also expect more dark mode features in the Mail and Calendar apps in the April update. 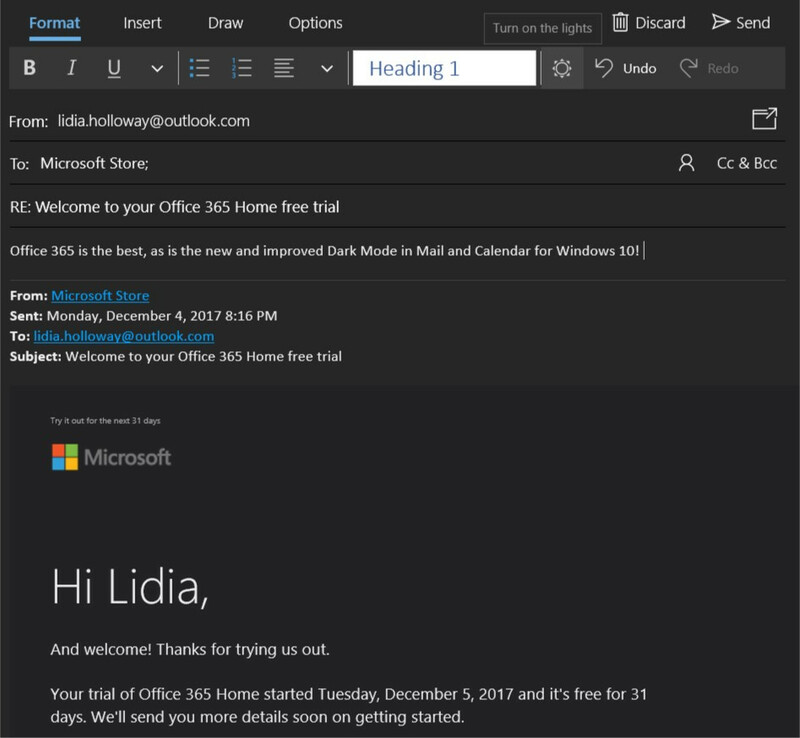 Dark mode now works when composing a new message, updating a calendar item, or reading your email. However, if you prefer to view a particular email message in light mode, click on the sunshine icon in the command bar. Moreover, there’s a new default font option for composing an email or replying to an existing email.